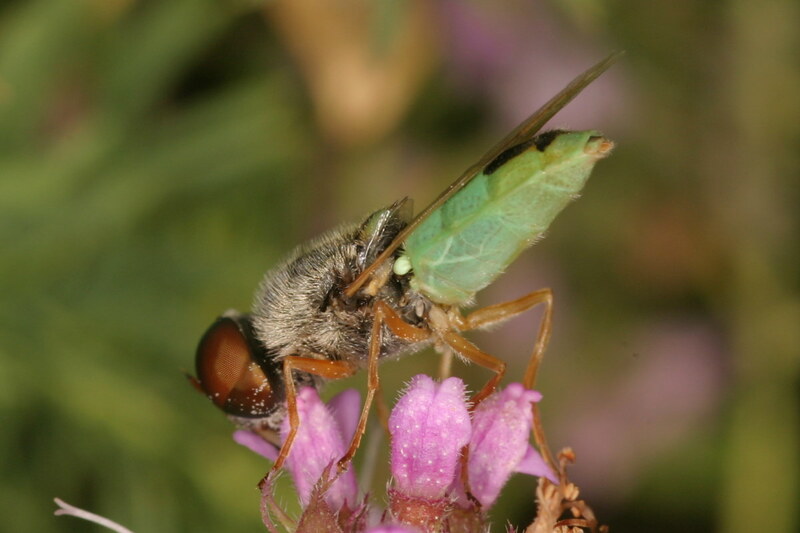 Diptera.info - Discussion Forum: 2x Oplodontha viridula? is this twice Oplodontha viridula? 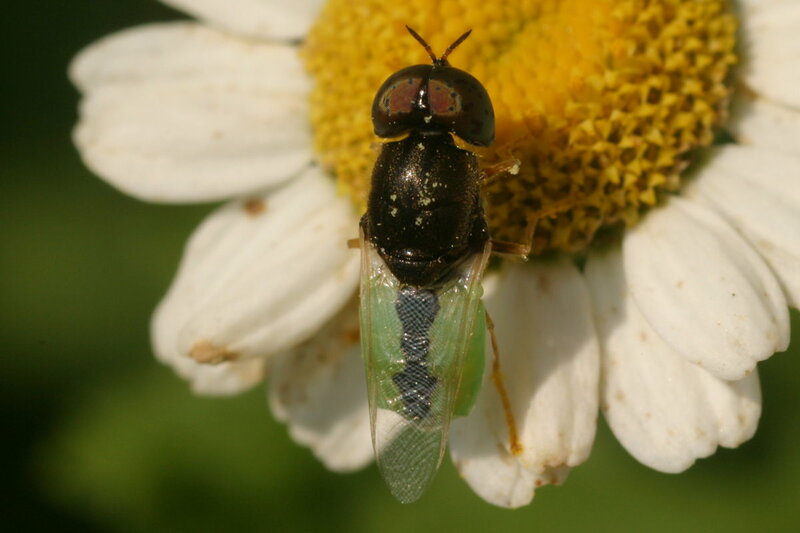 I found this fly on 10.6.2007 near Podersdorf, Burgenland, Austria. Scutellum should be balck. So second one is OK for sure, but I have my doubts on the first one. The first one with orange antenna, partly green scutellum, and no dark dots on the eyes should be Odontomyia angulata, whereas the second one with the dotted eyes is a male Oplodontha viridula indeed! Thank you so much Theo and Sundew!